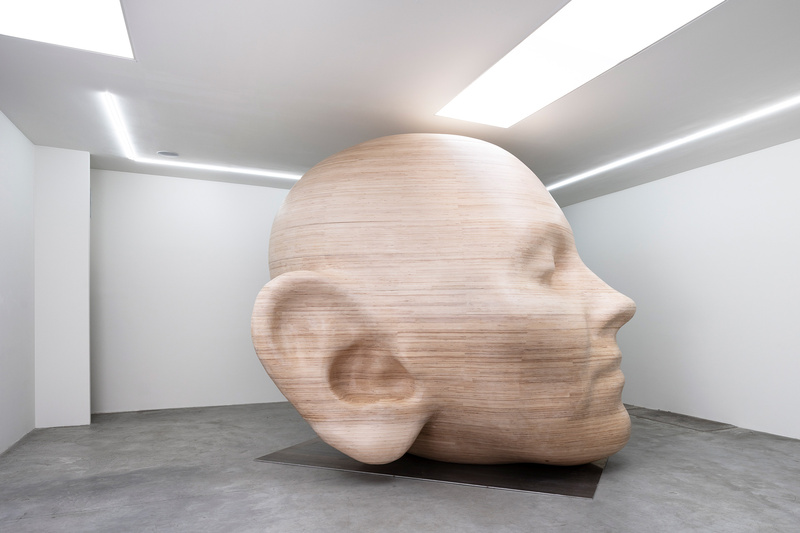 With her new artwork Tête, the award-winning composer and fine art artist Louise Alenius invites her audience into a 3 tons wood carved miniature concert hall shaped like the artists’ own head. 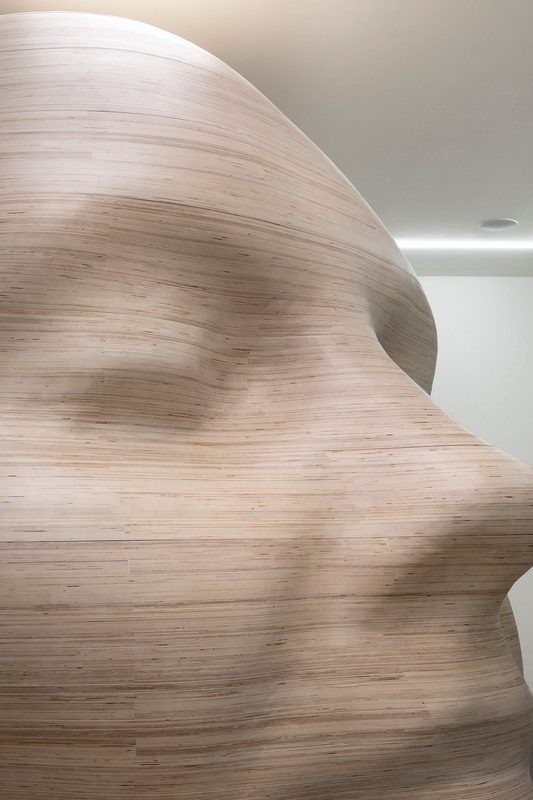 The piece is a tribute to ideas, to music, and is simultaneously a protected space for them. 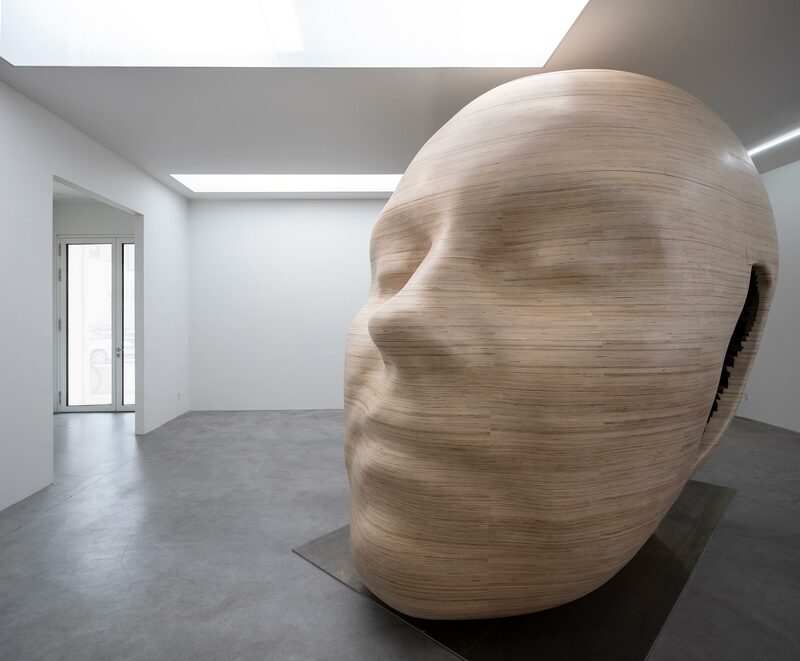 Composer Louise Alenius’ latest piece is a gigantic music installation consisting of a 3,5 m tall hollow, wooden head, built up around a brand-new musical piece. 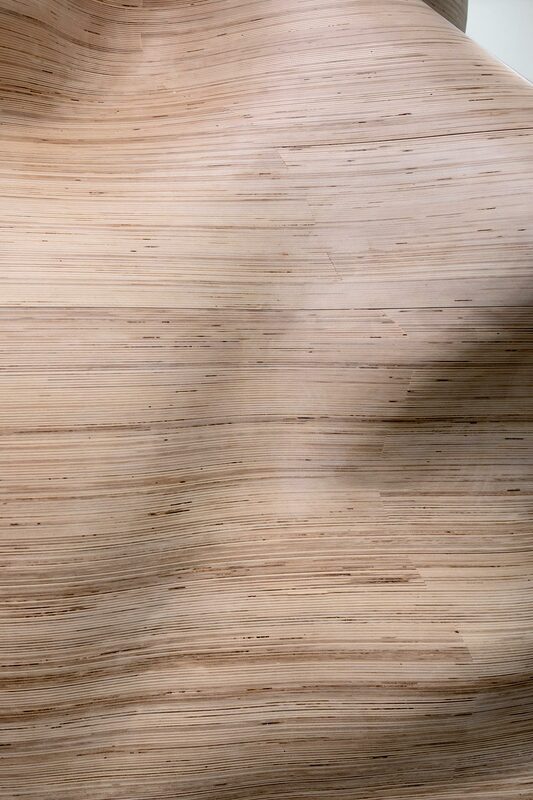 The piece is delicate and peculiar and is not easily adaptable to the already existing formats in music and requires a particular kind of space to flourish. Therefore, Louise has created Tête, aunique, beautiful concert hall, made to be experienced by one person at a time. It’s only when you have crawled all the way into the heart of the piece that you can experience it undisturbed — and that’s what Louise desires from her audience. That they are not only present, but that they really listen. “With Tête I wanted to create a space where the audience have to make their way inside an idea as it’s blossoming inside the artist’s head, experience it before it’s formally revealed. Ideas are fleeting and we ought to give ourselves time to explore and enjoy them in their pure and untarnished state before we try to make them adapt to existing formats in the real world. Ideas quickly disappear if we don’t take good care of them and give ourselves space to be present with them. 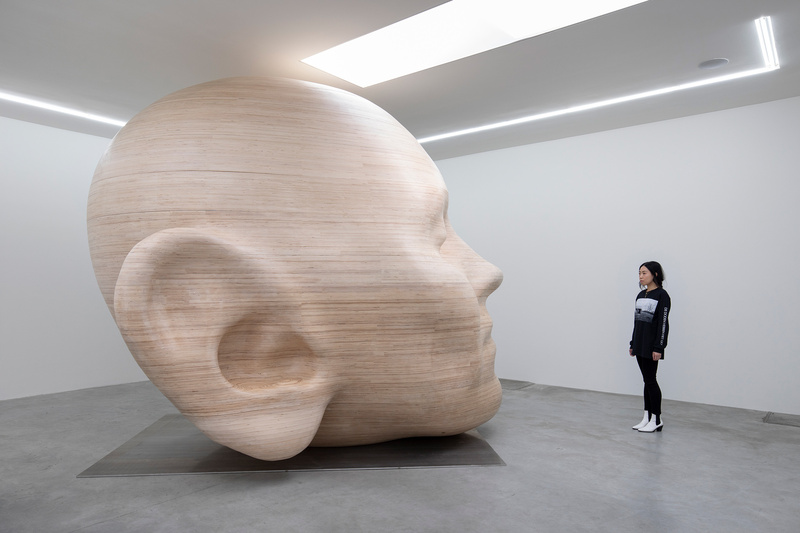 I’ve created the head as a kind of protective space for ideas, both my own ideas and the ideas of others. The idea for Tête arose in connection with my prerecorded Etudes that are playing in my solo exhibition. The music requires a special and particular space and the idea behind Tête came to life. The head is a shell. It’s flexible, and can be opened, moved, and altered in ways that allow both the expression and sound to change. I want to make use of this flexibility and work with other artists and ideas, and in that way create a vibrant space for ‘unadapted ideas with special needs’”, Alenius says. Tête by Louise Alenius is created with generous support from Augustinus Fondet in relation to the big “jubilee award” to classical music in 2017. Tête will be launched on the 5th of April 2019 at Eighteen, where Alenius’ very first solo exhibition can be experiences throughout the month of April. Involved parties: Jönsson Inventar (Production), Kim Dolva og Københavns Møbelsnedkeri, Jesper Elg, Marie Høst, Stina Vanessa and Victor Hendersson. Louise Alenius has received multiple music awards and has been nominated to the Reumert price for her radical and innovative pieces; among them are the 1-1 show collection “Porøset” at the Royal Danish Theatre, the choir piece “Rite of Nothing” for Cisternerne, the opera “Silent Zone”, and her opera for the dying “Prequiem”. Louise is conductor of the choir Korage, consisting of danish soloists, and she is currently writing a new opera for the Royal Danish Theatre to be premiered in 2022.